ARE you ready to let your talent shine? Regional areas may have a reputation for having a lack of creative outlets, but in Central Queensland the opportunities for performing arts are abundant. Nomination forms for a number of annual Gladstone-based events are currently open - the Gladstone Harbour Festival's 2014 GLNG and ZINC Talent Quest and Battle of the Bands competitions, as well as the Gladstone City Eisteddfod are calling for entrants. The latest in a long line of breaks is also on the horizon, in the form of upcoming open auditions for the Applause Rising Talent Showcase (ARTS). 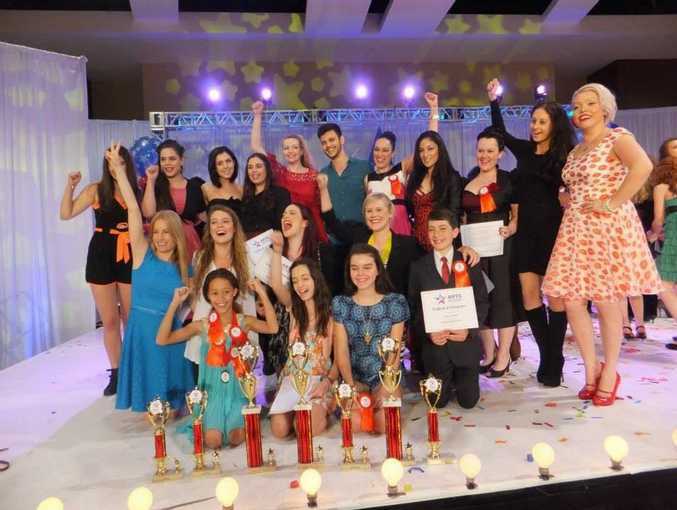 In December last year about 20 Australians, including a few CQ talents, were selected to compete at the ARTS Showcase in Orlando, Florida, USA. 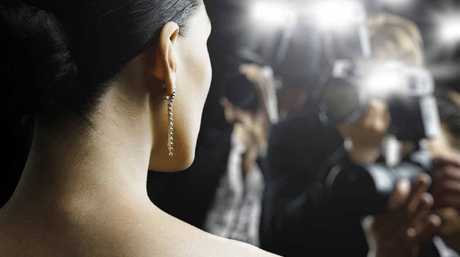 The showcase provides an opportunity for aspiring actors, singers, dancers and models to compete and is aligned with educating casting directors, film producers, fashion designers and more - giving each aspiring talent a first look at the world of entertainment. Tegan Devine, who grew up in CQ, was one of the chosen few to attend the showcase. 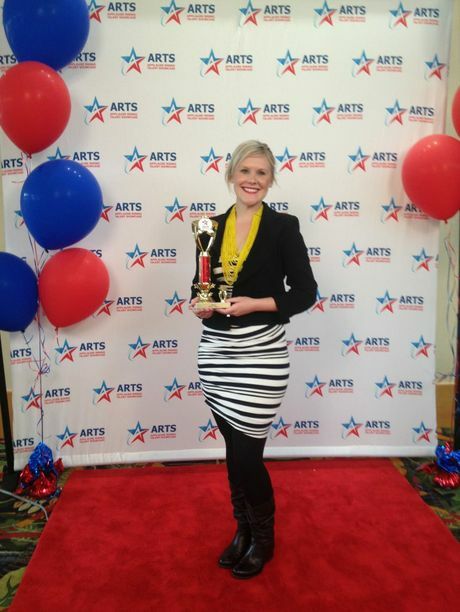 The multi-talented 28-year-old focused on her acting and placed third overall for improvisation acting in the competition section. She was also given a scholarship to The New York Conservatory of Dramatic Arts. The ARTS can also lead back into work in Australia, so it's a pretty unique process all round really. Ms Devine explained that although the competition side was good to let the competitors know how they compare to one another, primarily the focus was on casting opportunities and training from industry professionals. "All the top casting directors are there watching you," she said. Ms Devine said she was lucky enough to be joined in Orlando by Rockhampton's Jessica Earle, who also saw success at the event. At just 20, Ms Earle was handpicked by New York's Catherine Schuller, an icon in the full-figured fashion industry, who was one of the workshop holders at the ART Showcase. "I hadn't even done anything for her yet and she just picked me out of this group of people in the workshop and said I was perfect for this," she said. Ms Earle won a lifetime scholarship with ARTS and showed off her beauty at a runway show in New York, as well as doing three photo shoots for fashion photographers, including Alejandro Di Esko, editor-in-chief at Runway Magazine Inc.
Rockhampton’s Jessica Earle walked the runway in New York after being spotted at ARTS. Ms Devine said there were numerous other Australian success stories over the years, with many people getting their first career start with ARTS. So, after falling in love with the ARTS process, Ms Devine was chosen to become the CQ co-ordinator. 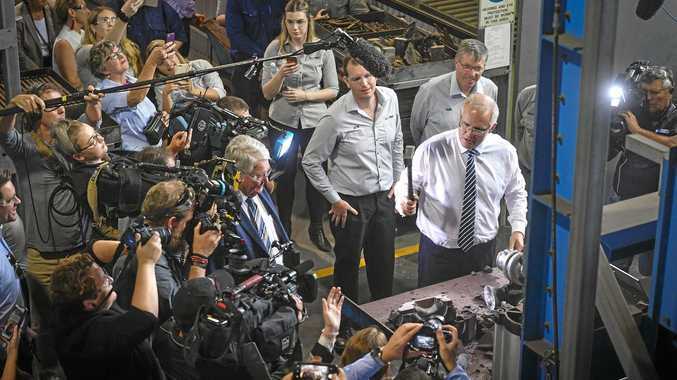 "It's a fabulous opportunity for Central Queensland talents to join a national contingent and be part of an international scouting operation that leads directly into the US casting industry," she said. "The ARTS can also lead back into work in Australia, so it's a pretty unique process all round really." Ms Devine and Arts International Casting's national talent scout Amanda O'Brien would conduct auditions at Ms Devine's studio, Devine Drama and Dance in Yeppoon, during April, to finalise selections for the trip later this year. "We're trying to get the exposure out to Gladstone," Ms Devine said, explaining that if 10 people or more from the area show interest, then an extra set of auditions may occur in Gladstone itself. The scouts are mainly looking for people who are aged 13 and older, however, contestants at last year's event were as young as seven. It's great experience to get a professional casting. For the initial audition, Ms Devine said those interested should decide what type of entertainer they want to be, or if they want to be a double or triple threat, they should rehearse a short routine. Ms Devine explained that at the CQ auditions they would also get participants to do a few things on the spot, as part of the process is about the ability to improvise. Even for those who may not get selected to go over, Ms Devine said: "It's great experience to get a professional casting." For those who are selected, the ARTS team will guide their preparations before the international showcase to best improve their chance to be selected by casting agencies. If you have dreams of making it big, email Tegan Devine at devinedramadance@gmail. com for audition information. For more on ARTS, visit www.theartstalent.com. The Applause Rising Talent Showcase, or ARTS, is a family-owned and operated international organisation. Hand-selected mother agencies, dance centres, performing arts organisations, theatre companies, and more come together to offer a unique week-long experience, like no other. An opportunity to showcase your talent for the best agents, managers and casting directors in the business, all at the same time and under one roof. Chance to learn from industry professionals who share their knowledge and expertise in seminars and hands-on workshops. TEGAN Devine, who is the director of Devine Drama and Dance in Yeppoon, will be one of the people Gladstone talents will have to impress at the ARTS auditions. Ms Devine trained in New York at the prestigious Ward Acting Studio under Wendy Ward in The Meisner Technique. 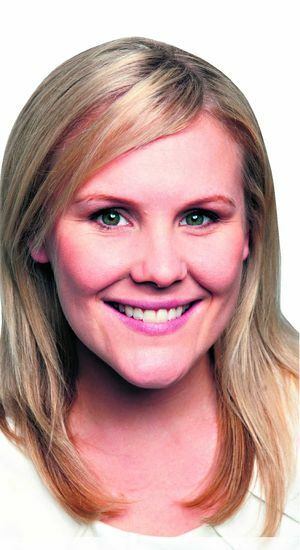 Prior to this training she undertook a Bachelor of Performing Arts from CQUniversity, an Advanced Diploma of Film, Theatre and Television Acting from The Actors Workshop and she has also graduated from the NIDA Young Actors Studio in Brisbane. Some of her performance credits include playing Delilah in heartBeasts karaoke musical Cloud Cuckoo Land. Recently she played Portia in Nash Theatre's The Merchant of Venice. She also wrote, directed and starred in an award winning play called Group, which was part of the Brisbane Drama Festival 2011. AMANDA O'Brien will be one of the people Gladstone talents will have to impress at the ARTS auditions. Ms O'Brien has over 25-years' experience as the owner and director of Amanda O'Brien Studio, specialising in talent development and facilitating elite opportunities for young Australians. Career highlights include projects with Opera Australia, Australian National Choral Association, the Gondwana Choirs of Australia, Queensland Symphony, Underground Opera and Queensland Arts Council. GLADSTONE Festival is run annually to showcase the talent of our young local dancers. 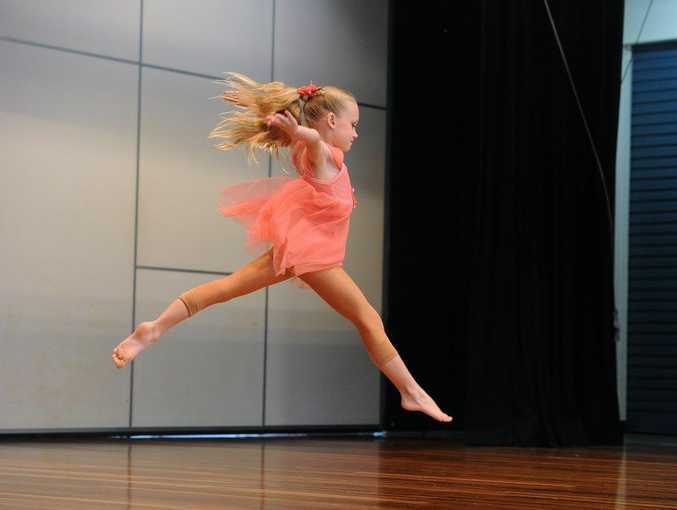 The festival is open only to dancers aged between three and 18 years, who reside in the Gladstone Regional Council area. Classical and contemporary ballet, modern jazz, cabaret, tap, national and own choreography routines will be on display at the event on the weekend of March 29-30. Entries closed yesterday, however, volunteers are still welcome. For more information, visit the Gladstone Dance Festival Association Facebook page. THE Gladstone City Eisteddfod allows instrumental, speech and drama, vocal and dance performers the opportunity to take to the stage in friendly competition. The syllabus for the eisteddfod is available for sale for $5 from Clinton Newsagency, David's Musical Centre, Breed's College of Music, Mitre 10 in Boyne Island and Spar Express Sun Valley. The closing date for entries is May 30. For information, phone Pauline Newman on 4978 0646. HAVE you got the wow factor or a band that rocks? It is time to show off your talents at the 2014 GLNG and ZINC Talent Quest and Battle of the Bands, which will occur on April 15. The Gladstone Harbour Festival's annual competitions are now open for entries. There are limited places available and entries close on April 4. More information and entry forms, visit www.gladstone festival.com. Gladstone SHS student Xzannjah Matsi recently won Best Actress at the 2013 Rialto Channel New Zealand Film Awards for her role as Matilda in the acclaimed film Mr Pip. George Cartwright starred in QMF's Gladstone production of Boomtown, after performing in the Andrew Lloyd Webber production of Love Never Dies in Sydney and Melbourne. The Gladstone SHS student was nominated for a Broadway World Award for his role as Gustave. QUT Bachelor of Creative Industries in Music and Entertainment student and former Gladstone resident Hayley Marsten was nominated for an award at the MusicOz Awards last year. Hayley was awarded first, second and third as a songwriter at the Capricorn District Country Music Association's Country Music Festival in September. Former Gladstone resident and Miss Universe Australia 2007 titleholder Kimberley Busteed is now a lifestyle presenter for Channel 7's Queensland Weekender and Creek to Coast.